The location is a prominent selling point, just five minutes from Brisbane's CBD, as is the luxury of a rooftop recreation deck allowing stunning city views. In close proximity to transport hubs, the $37 million project ticks all the right boxes for home buyers and investors alike. Urban Living Homes founder and owner Caroline Barry said each apartment has been designed with the idea of peaceful, yet luxurious living. “Each project we do is built around the idea that we all deserve to live in beautiful environments and that doesn’t have to mean it’s out of reach,” she said. “Our projects are about getting that balance right of a stylish and comfortable living environment that is by far the most competitive. "Everything is an easy walk from your new home. The city is easily accessible with a short walk across the Storey Bridge, or a pleasant ferry ride." According to Ms Barry, Kangaroo Point is like a little oasis next to the CBD. 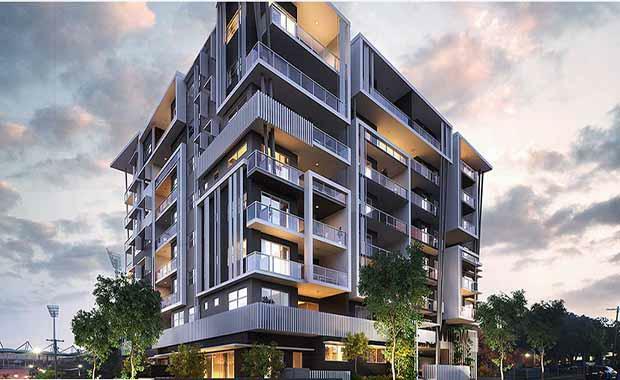 Urban Living Homes has been developing projects, specialising within six kilometres of the CBD, for the last decade. “We like the concept of taking a piece of land and creating a building that is not just a plain box,” she said. CBRE Residential Projects will exclusively look after the sale of the development. CBRE's Paul Barratt said Willow boasts great value apartments with suburban prices, just two kilometres drive to the CBD. "The development is located so close to some of Brisbane’s best cafes and restaurants like Logan Road dining precinct and Little Stanley Street in South Bank," Mr Barratt said. “Demand is quite strong, so buyers are encouraged to get in fast before they miss out”. Designed by Hayes Anderson Lynch the project features a rooftop recreation deck including a BBQ area, artificial turf and cinema with expansive CBD views. One bedroom apartments start at $365,000, with two bedrooms starting at $498,000.